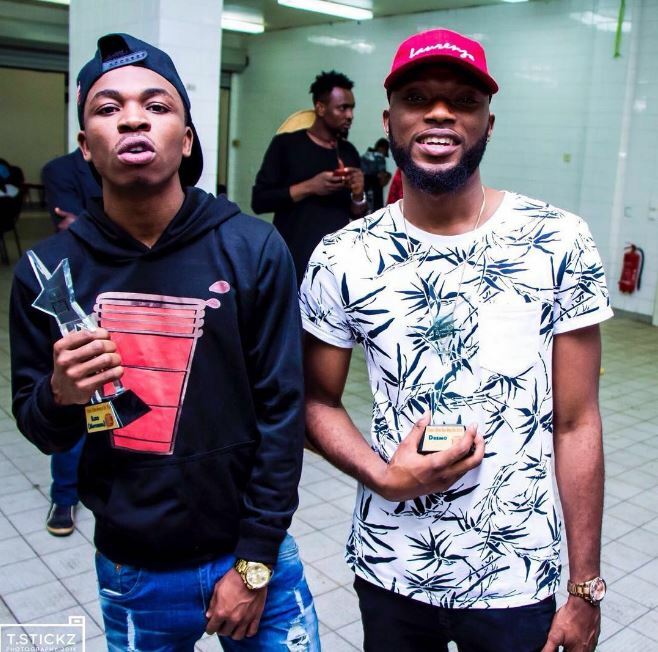 The 2 hottest rookies in the Nigerian music scene, both signed to Davido Music Worldwide – Mayorkun & Dremo would be headlining a club & press tour in the UK this September. Packaged and put together by raved UK events management company – Que B Entertainment; The tour would see Mayorkun & Dremo visit 8 cities where they would perform at selected club gigs & visit all the top choice media platforms in the UK. Mayorkun broke out in April 2016, with his stellar debut single – ELEKO, which has risen to become one of the biggest Nigerian songs in 2016, scoring over 3 million youtube hits so far. He went on feature on the DMW collaborative single ‘Back 2 Back’ & recently released his second single ‘Yàwá’ which has been enjoying massive buzz. Dremo on the other hand hand has been A-game since he broke into the mainstream music scene in 2015, Upon inking a lucrative deal with Davido Music Worldwide in April 2016, His career sky-rocketed to a whole new level, He released ‘FELA’ (Designer/Panda Cover) – a song entered around the life & times of the Afrobeat pioneer & went on to release his official single ‘Ojere’ which pundits have considered the hottest Nigerian hiphop song of 2016 so far. 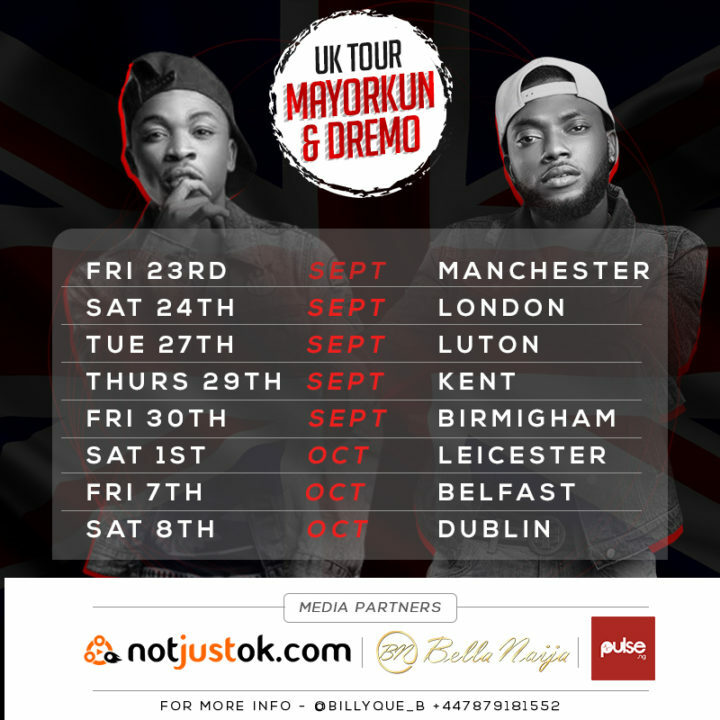 The excitement is building up, African music lovers are gearing up to welcome Mayorkun & Dremo on their tour to the UK. More details would be communicated as events unfold.